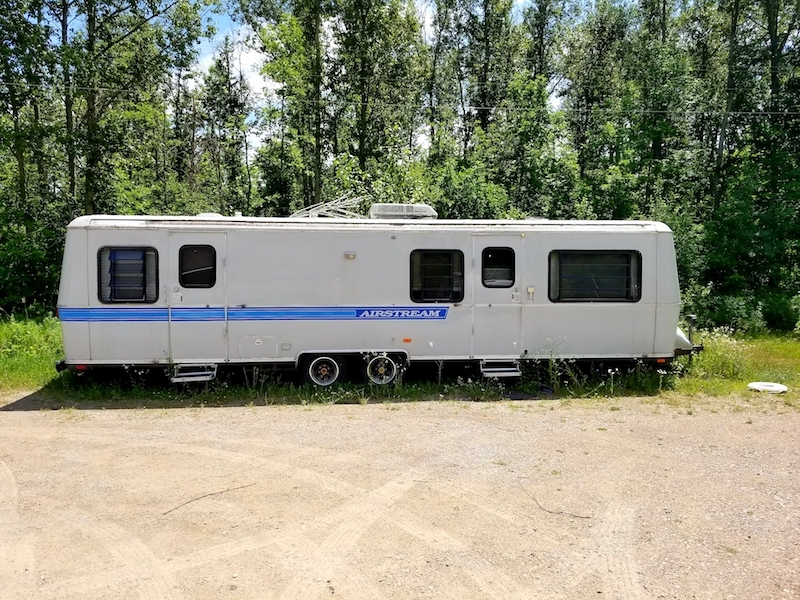 Are you ready to live in an Airstream to fulfill your dreams? 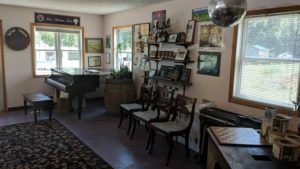 Anyone who knows about the wine industry understands that owning a winery is a lot of HARD WORK, and doesn’t come cheap. My husband and I are currently touring the Leelanau Peninsula Wine Trail in the Northwest of Michigan’s lower peninsula, and I have to say that I’m impressed. We have tasted a lot of very tasty wines and ciders the past couple of days. Saturday’s favorite? … Nathaniel Rose! 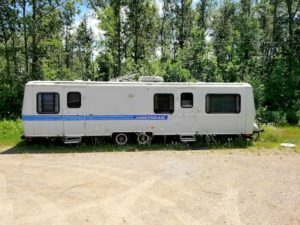 Interestingly, my husband and I are touring the Midwest in OUR recently purchased RV (a new passion of ours), but we’re NOT the ones living in the Airstream! 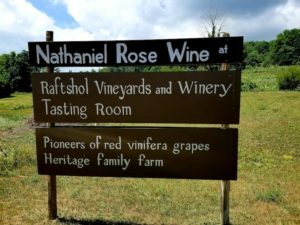 That would be 33 year old Nathaniel Rose, making his dream a reality by living on the low and producing some fabulous wines! 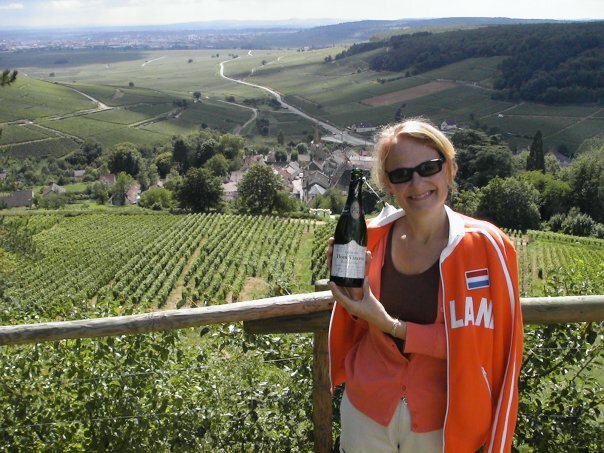 Courtney, who is super knowledgeable, passionate about the wines, and a lot of fun, greeted us in the tasting room! Don’t have your heart set on a hoity-toity tasting experience here! This is not one of your fancy schmancy tasting rooms. You can tell that all of the money (and heart) goes into the wine. 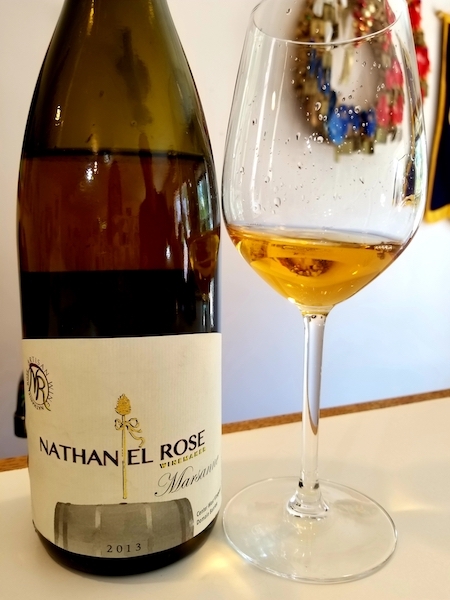 The first wine of the tasting was his 2013 Marsanne, made as an orange wine! How cool is that??? If you’ve never had an orange wine, it’s definitely something to seek out! No … there are no oranges used in making this wine!!!! Basically, it’s a white wine where the grape skins are left on during maceration, like in red wine production. This produces an amber (sometimes orange, hence the name) color along with some tannin, which makes it very special indeed. 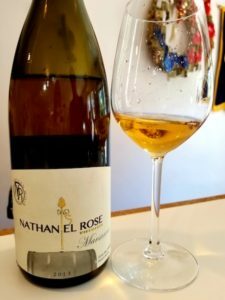 This Marsanne is well done and was a fun way to start the tasting. We tasted a bunch of great wines, but another fun one that sticks out in my mind is the 2012 Chelois. Chelois is a rare, high-quality French-American hybrid varietal created by viticulturist Albert Seibel in the 1920s. Rose leaves the grapes hang until they are partially raisined, producing a rich and powerful wine. Nathaniel Rose also makes some killer Syrah! His ’13 La Blonde is co-fermented with Viognier, á la the Rhone Valley! 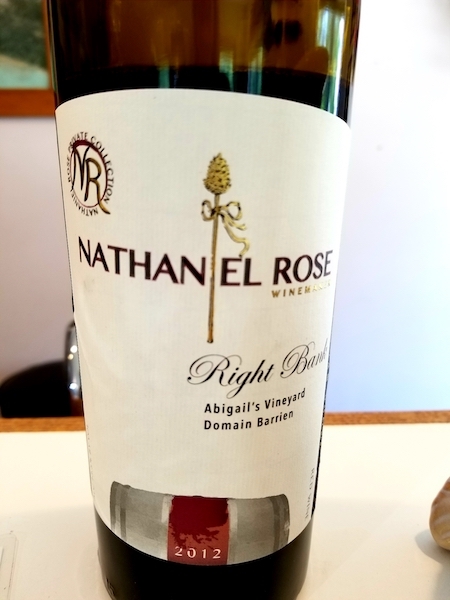 His ‘13 Double Barrel Syrah has a wonderful funky nose, with some tart cherry chocolate on the palate. Good stuff indeed. My favorite wine of the tasting? That would be his 2012 Right Bank! 50% Merlot and 50% Cabernet Franc (fashioned after the wines of the Right Bank of Bordeaux), this wine can hold up to a lot of Bordeaux wines I’ve had. Lots of cherry, currant and some earthiness make this my kind of wine! If I had more wine storage in our RV, I would have bought a bunch, but I’m happy that I could at least grab a couple to take back to Florida and share with some of my fellow wine geek friends. 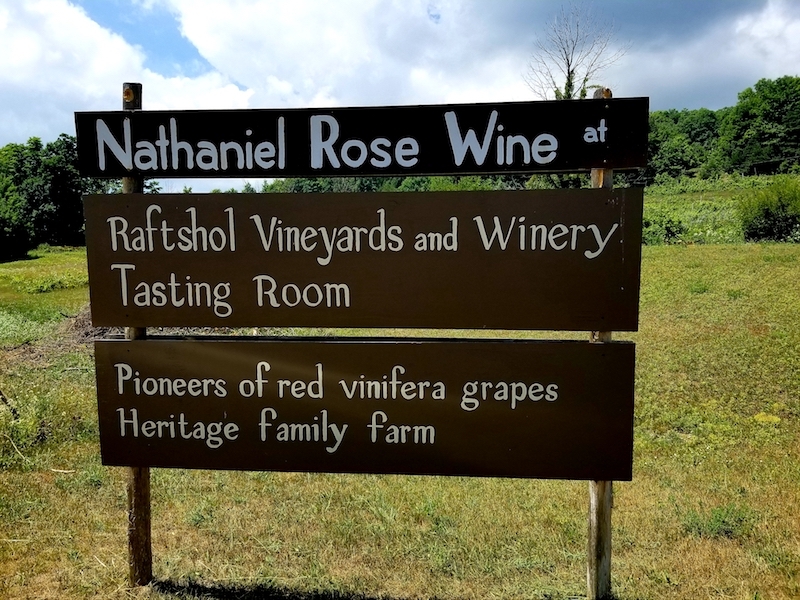 So … if you find yourself on the Leelanau Peninsula Wine Trail, be sure to stop at Nathaniel Rose. 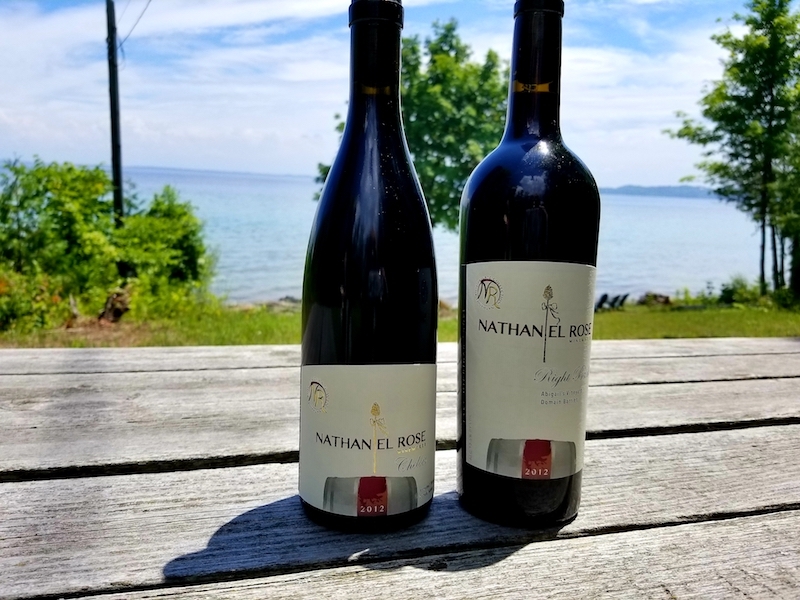 The tasting room is just outside the quaint village of Suttons Bay, and has a lovely water view out back!